This week i have exams so time has been a bit tight so i had to do a simple bake. I made lavender biscuits. This is a biscuit dough with finely chopped lavender added, the dough is then rolled into a sausage shape and covered in demerara sugar which gives it a crispy finish around the sides. Then you cut the biscuit dough into slices which are then baked. 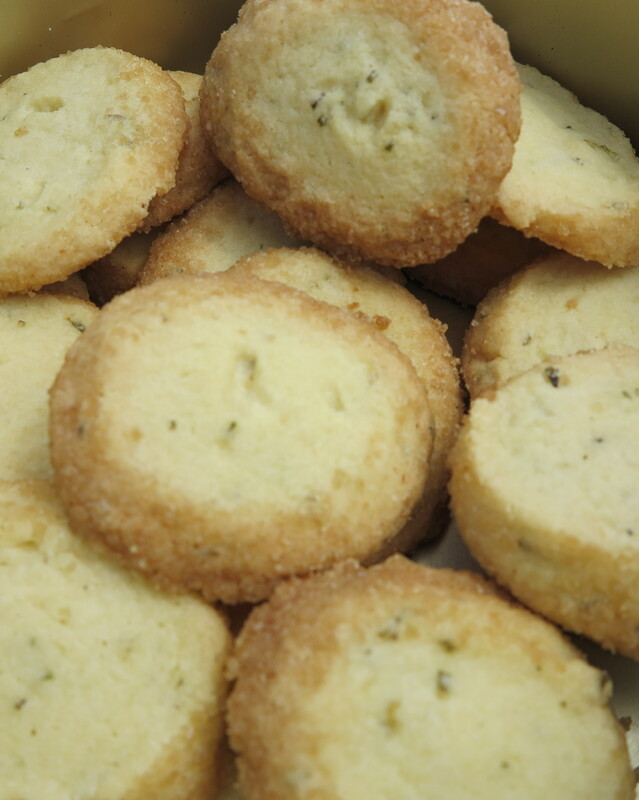 This is a very yummy bake and the biscuit tastes like shortbread with a strong hint of lavender. Did you know:- Lavender is a herb that has been around for about 2, 500 years. In the Ancient times lavender was used to make perfumes by the Egyptians, Phoenicians and people of Arabia. The romans used lavender oils for bathing, cooking and make the air smell nice. This week baked lemon tart especially for my Godmother Andrena because its one of her favourites and I thought I needed to practise before I go and stay with her in the summer. The recipe said to make the pastry on the worktop. I have never do this before and I really liked making the pastry this way because I felt like I had more control over it but I didn’t have control over one of the yolks as it escaped from the dough mixture. I do need to practise the rolling and laying out my pastry as every time I make a pastry base my sides are not level. 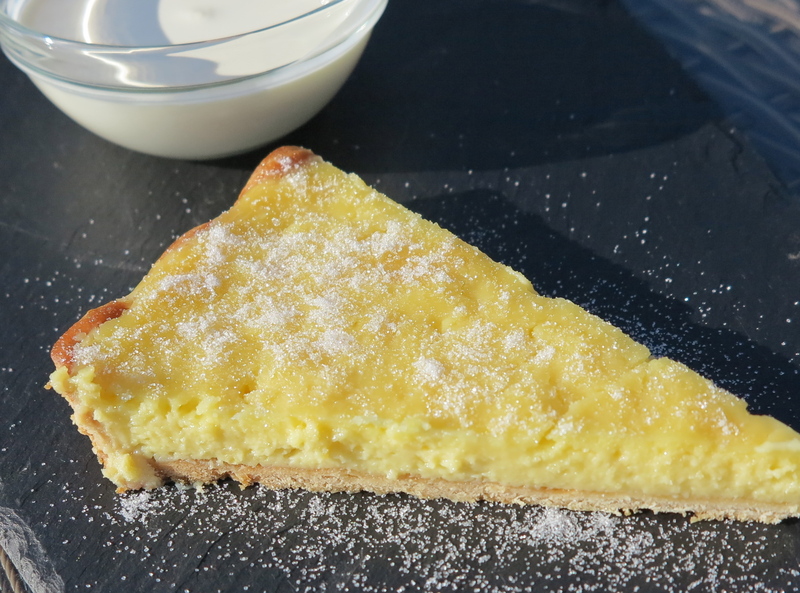 Did you know :- Tarte au citron is the French for lemon tart but it isn’t actually originally from France. They say it came from the Mediterranean because most of the ingridents comes from there. In france the most famous town to make these lemon tarts is called ‘ Menton ‘ which is in the south east of France. Each year they have a lemon festival and the tarts are a big part of the festival. This week I baked a Battenberg cake. I enjoyed this bake but unfortunately my pink sponge was a little bit brown because the pink cake mixture mixed in with the plain mixture when it was baking. The cake is made up of two different coloured cake mixtures. The mixture is baked and when it has cooled down each colour is cut into an oblong shape and these are glued with apricot jam to make a chequered pattern. The cake is then covered in marzipan that has been rolled out and sprinkled with icing sugar.This bake is very yummy and almost as good as Mr Killing’s battenberg. Did you know:- Battenberg came from the UK, and was made in 1884 for the marriage of Queen Victoria’s granddaughter, Princess Victoria Alberta Elisabeth Mathilde Marie to Prince Louis of Battenberg. 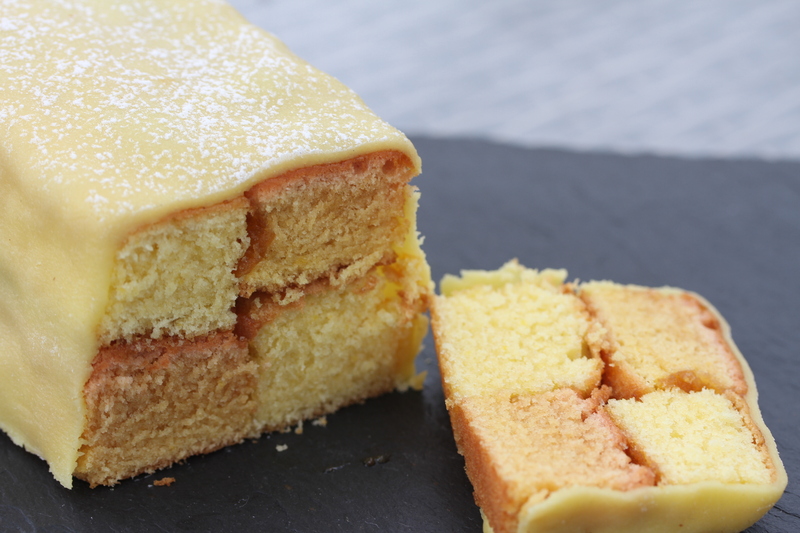 The four squares of the cake are the four battenberg princes which were: Prince Louis, Prince Alexander, Prince Henry and Prince Francis Joseph. 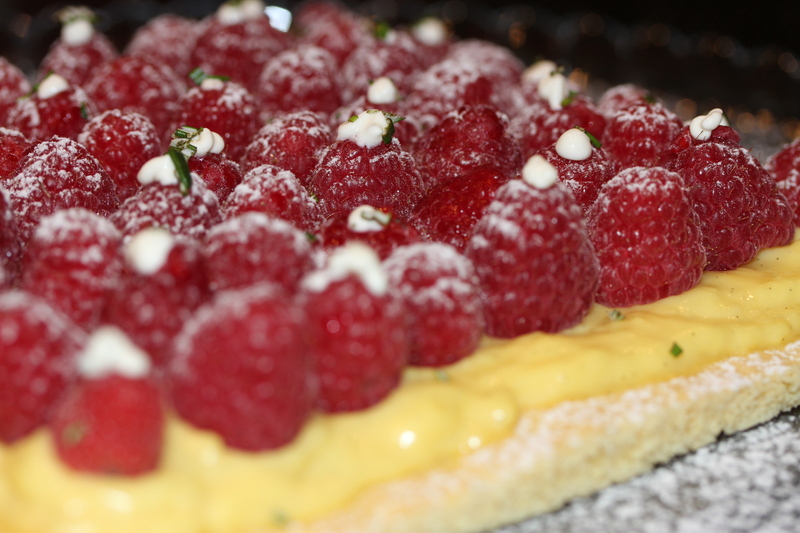 This week i made a raspberry tart that was made up of a lime sable pastry covered with creme patisserie, raspberries and sprinkled with rosemary. I have never made sable pastry before and it was very different to normal pastries because you make a dough like mixture and when you roll it out you roll it between two sheets of baking paper. Sable pastry is a sweet pastry. Did you know :- Sable is French for “sand” which is what the the pastry tasted like. Sable pastry is good for tarts.